Every PC enthusiast wants to keep their computer’s processor temperatures as low as possible. Well, this is absolutely necessary, as the CPU shouldn’t run too hot, as it will reduce its longevity. The stock CPU coolers that are bundled along with the processors available in the market today are sub-par and do not give you the best cooling performance. That’s exactly why most consumers prefer buying better aftermarket coolers for significant improvements in thermal performance. Likewise, the thermal paste that’s usually provided with these coolers are not even close to the best ones out there. Well, if you have no idea what a thermal paste is, it’s nothing but a thermally conductive compound, that’s usually applied between the CPU and cooler’s heatsink, in order to prevent air gaps and fasten up the heat transfer between CPU and the cooler. If you’re planning to push your CPU to its limits by overclocking, the Thermal Grizzly Kryonaut thermal paste sits right at the top in terms of the cooling performance it has to offer. Due to its thermal conductivity of 12.5 W/mk, which is pretty high for a grease-based compound, it’s able to deliver maximum heat transfer between your CPU and cooler. This thermal paste uses a special structure which halts the drying out process at temperatures of up to 80° Celsius. The Kryonaut even manages to edge some of the most popular thermal compounds that are preferred by overclockers around the world. Being one of the most popular thermal pastes preferred by overclocking enthusiasts across the planet, the Gelid Solutions GC-Extreme certainly doesn’t disappoint when it comes to thermal performance. Although not quite as good as the Thermal Grizzly Kryonaut, especially due to the fact that it has lower thermal conductivity at 8.5 W/mk, the Gelid Solutions GC Extreme still manages to live up to its name by offering superior thermal performance over several other competitors in the market. Lastly, it’s non-corrosive, non-curing and non-toxic, as per the manufacturers claims, and for a grease based thermal compound, the GC-Extreme is pretty affordable compared to Kryonaut costing just 13 bucks for 3.5 grams. 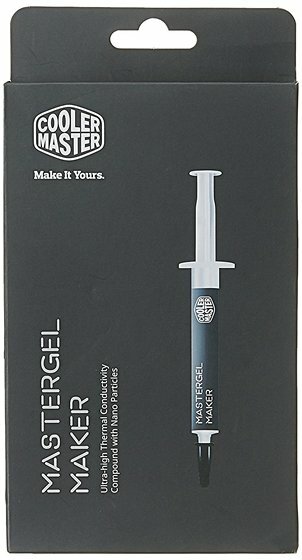 This is a relatively new but a very premium thermal paste, manufactured by Cooler Master for maximum thermal performance that can be expected from a grease based compound. It has a thermal conductivity of 11 W/mk, which gives the more popular GC Extreme a run for its money. As far Cooler Master’s bold claims, the thermal paste has nano diamond particles that’s capable of handling a wide range of temperatures from -50 to 150°C. This thermal paste also has excellent viscosity which makes it easy to spread and remove without cracking or drying out. All in all, this affordable thermal paste is well suited for people who’re looking forward to overclock their K series CPUs. The Arctic MX-4 is rapidly becoming the most sought after thermal pastes on the market today, thanks to the insane thermal performance it offers for the price. 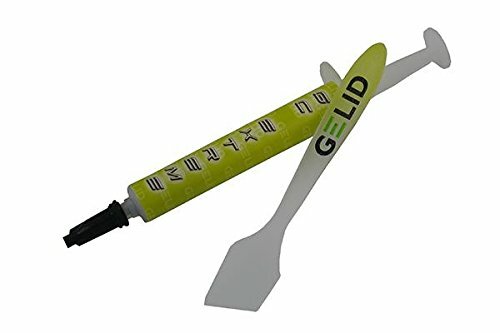 Although it’s grease based, it’s composed of carbon micro-particles which lead to an high thermal conductivity rated at 8.5 W/mk, that puts it right next to the Gelid Solutions GC-Extreme. Since it does not contain any metallic particles, electrical conductivity is not an issue at all. The manufacturer ensures that the performance of their thermal paste will not be compromised over time. 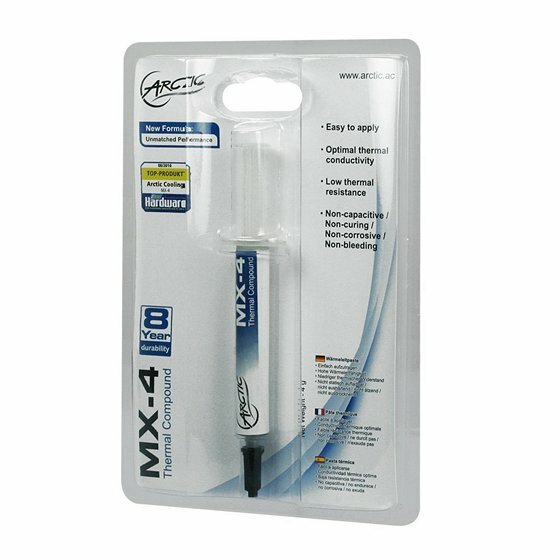 Well, the MX-4 is affordable as well, as you just need to spend over 6 bucks for 4 grams of the thermal paste. It was not so long ago when the Arctic Silver 5 was considered as the pinnacle of thermal pastes, as it offered the best possible thermal performance for the time. Although, it has recently been outperformed by quite a few relatively newer thermal compounds, it’s still the most popular thermal paste, used across the world by enthusiasts and overclockers alike. 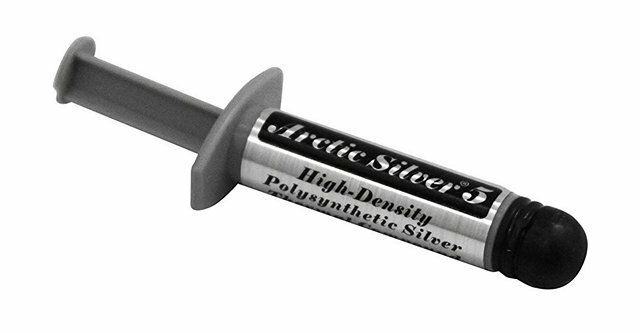 The Arctic Silver 5 as the name suggests, is made out of 99.9% pure micronized silver. However, it’s non-electrically conductive, so there’s no need to worry in this regard. Its thermal conductivity is rated at 8.7 W/mk by the company, which is slightly better than the GC-Extreme and even the Arctic MX-4. Priced at nearly 6 bucks, the Silver 5 is worth every single penny that you’re paying for. This is a high quality thermal compound that’s bundled along with Noctua’s premium CPU coolers. However, the manufacturer lets you purchase them separately as well, and it’s nothing short of impressive, to say the least. If the manufacturer’s claims are taken into consideration, the NT-H1 is essentially a hybrid thermal compound with different micro-particles that allows for minimum thermal resistance and maximum long-term stability. The thermal conductivity has not been rated by the manufacturer. However, it has a peak operating temperature ranging between -50 to 110°C, which is pretty impressive. 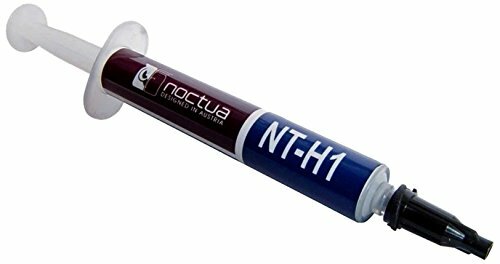 For an asking price under 6 bucks, the NT-H1 is an affordable yet professional solution for overclockers for some exceptional thermal results. Extreme overclockers, this one’s for you. If you’re not satisfied with the thermal performance offered by even the best grease-based thermal pastes, well it’s time you move on to liquid metal thermal compounds. These liquid-metal based thermal compound take the game to a whole new level by boasting very high thermal conductivity of 38.4 W/mk. Well, you’ll notice a significant temperature drop, especially if you’re coming from a regular thermal paste. It works best on delidded CPUs as most of the CPUs available today don’t have a soldered integrated heat spreader (IHS). Instead the CPU manufacturer uses TIM for heat dissipation between the heat spreader and CPU. That being said, these liquid-metal based thermal compounds should strictly not be used with aluminium heatsinks, as the gallium alloy used here will corrode the aluminium in your heatsink. Last on the list, we’ve got the best thermal compound you could possibly buy if you demand nothing short of the absolute best in terms of thermal performance. The manufacturer targets experienced overclockers who’re planning to push their CPUs to the limits by delidding, as the Conductonaut is fully capable of keeping the temperatures in check. This liquid-metal based thermal compound has a extremely high thermal conductivity rated at 73 W/mk which is significantly higher than what the Coollaboratory Liquid Ultra managed to bring to the table. As a result of this thermal conductivity, the Conductonaut delivers optimal heat transfer for large-scale cooling systems. It’s preferred to be used for applications where heat dissipation is of critical importance and even a 1°C temperature difference matters a lot. The stock thermal paste that’s often bundled along with the CPU coolers are certainly not even close to the best ones you can get your hands on. If you feel like your processor is running pretty hot, even at a low ambient temperature, you should certainly consider investing in a good thermal paste. 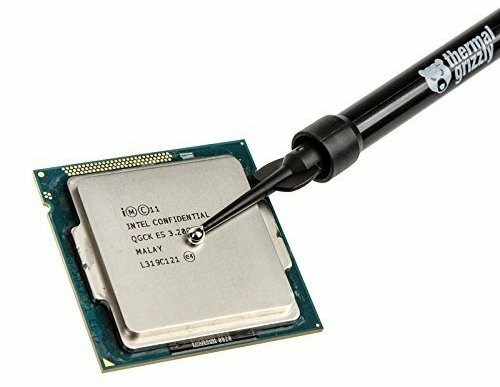 Even if you have a laptop, you should consider getting the thermal paste replaced by an expert technician, as the compound used by the manufacturer is usually of average quality and not applied properly. Well, there are plenty of options to choose from. Depending on your budget and performance demands, you could choose between normal grease-based or liquid-metal based thermal compounds. We suggest you to go for liquid metal only if the slightest of temperature difference matters a lot to you. Otherwise, it’s not worth the risk at all. 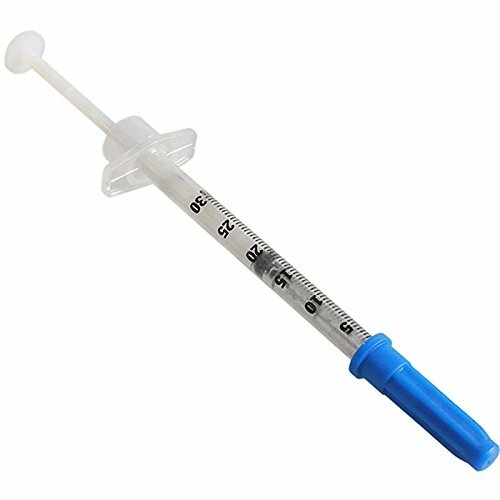 So, which thermal paste are you planning to go for, and why? Do let us know by shooting your valuable opinions in the comments section down below.